In this review of the JBL JRX218S we are going to covering 5 important areas which include key features, what we like, pros and cons, who is this product best suited to and what customers who have bought the speaker are saying about it. Excellent Sound – All deep sounds are done justice by this sub. The accurate low-end representation ensures that every track is perfectly balanced and delivers that punch you would hope for from the bass line. Choosing a sub always comes down to a consideration of just two features: driver size and power. If you have the cash, you’ll be lucky enough not to have to compromise on either, but one seldom finds a reasonably priced product that offers a balance of both. However, this product does not disappoint. Quality Components – You would hope for nothing less from one of the world’s leading manufacturer of professional studio monitors and audio equipment. The performance of this sub comes down to the superiority of its components. The low-frequency driver is an M118-4, with the compact subwoofer being a decent size at 18” and voice-coil woofer at 3”. Designed with DJs in mind – Being mindful of the fact that DJs and musicians often have to move equipment from gig to gig, JBL JRX218S has used hard-wearing materials in their design. The grille, fastenings, and handles are designed to withstand regular use and protect the components. The pole mount receptacle on top is very handy as you can then use the subwoofer as a solid base for a speaker cabinet. This sub also connects seamlessly to amplifiers from different manufacturers and has a Neutrik SpeakON input connector, 0.25” TS phone jack, and one SpeakON output connector. Lineage – Without even opening the box, what we immediately appreciate about this product is that JBL has created it. With over 70 years of being at the forefront of the sound engineering industry, JBL has become a reliable household name. They have their finger on the pulse when it comes to their customers, continuously innovating to meet their needs. We found the JBL JRX218S to be yet another example of this. Excellent Deep Sound Quality – The main job of any DJ speaker system is to represent the range of frequencies in a track accurately. There are many subs on the market that have high power but don’t necessarily produce great timbre or balance with the rest of the equipment. Finding a sub to round off the sound from your DJ system can often come down to a question of cost. We feel this subwoofer is decently priced for the sound quality you get. We found anything down to about 40Hz to be projected clearly and accurately which, for most DJs and sound enthusiasts, is more than enough. This sub can be added to any system, pairing well with your current equipment. It has excellent low-end coverage, good enough to produce the lowest frequencies of any song. The subwoofer is powerful enough to fill large venues. 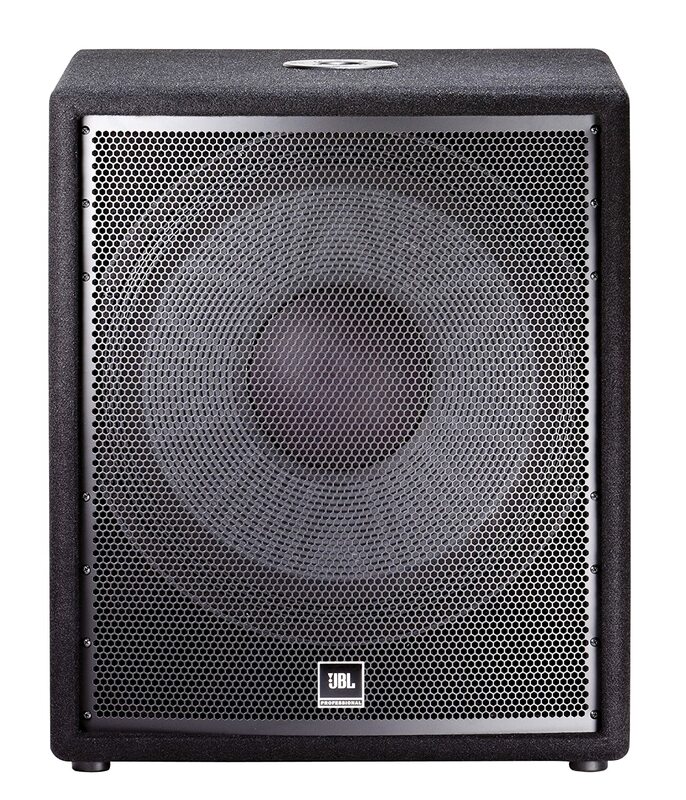 The JBL JRX218S has been designed with DJs in mind, being durable and lighter than many subwoofers in the same class, and can be used as a base for another speaker. Though not really a criticism, this sub is unpowered and requires you to purchase a separate power amplifier. 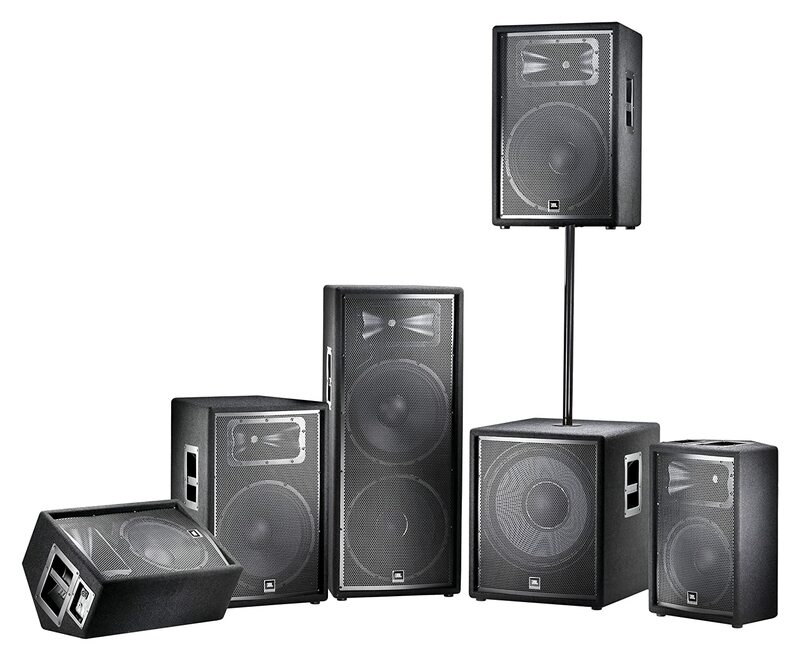 Customers will often avoid very powerful subwoofers, thinking that high wattage equates to high volume. Although the high wattage does usually indicate that you can play the speaker much louder, it doesn’t mean you have to do so. It is also not guaranteed that a sub with high wattage will have great performance. Luckily JBL has once again manufactured a sub that produces quality sound whether at low or high volume. Regardless of whether or not you are adding this sub to your DJ setup or simply your home theatre system, you won’t be disappointed. If you do want to add the JBL JRX218S to a speaker set at home, make sure the correct output is available on your soundbar, or that you have a receiver or HTIB. Some TVs even have a subwoofer output. Overall, customers are impressed with the bass output of this product. They find them powerful enough for various settings and events including clubs, weddings, and smaller venues. Customers observed that, compared to subs in the same price range, this product outperforms most competitors. 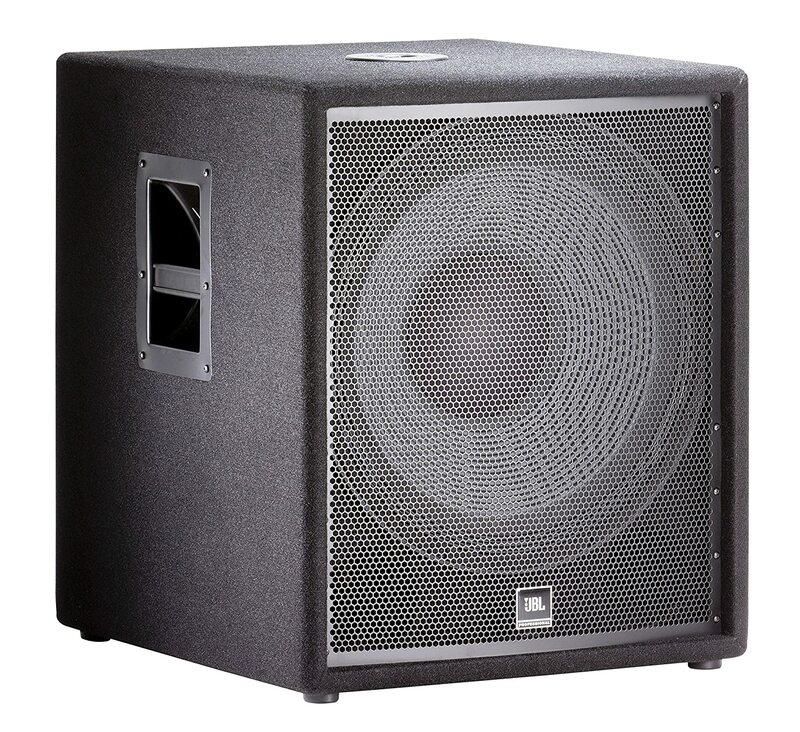 Also, the low-frequency production is what one would expect from a larger and heavier subwoofer, making this a great option for musicians on the move. A regular point made by people who have purchased this product is that it pairs well with their amplifiers, making it even more versatile and a great addition to their existing sound setup. When playing tracks for a crowd, whether it’s just a few friends or a club full of people, the ‘wow’ factor comes from the bass. If you want to impress listeners or simply improve your own listening experience, it is worth investing in a quality subwoofer. You can ensure your low frequencies are well represented by adding the JBL JRX218S to your equipment. 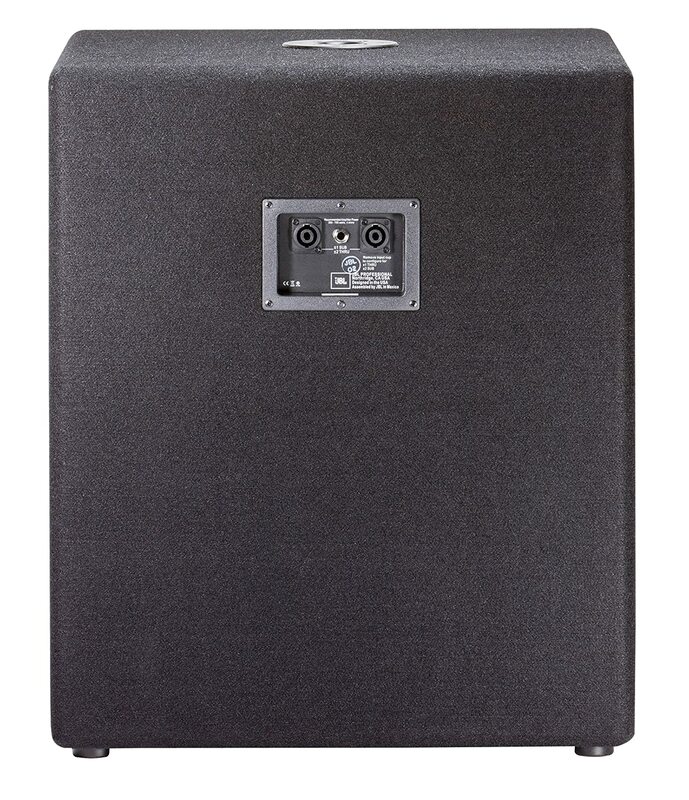 This product, with its 18” subwoofer and 1400-Watt peak power capacity, really packs a punch, giving your tunes a well-rounded and intense quality. This sub is a great investment for all music lovers, and it covers small and large spaces.